KompareIt > Business > Construction Equipment > How Much Does a Bobcat Skid Steer Cost to Buy, Lease or Rent? The average price for a new Bobcat skid steer is anywhere from $20,000 to $65,000, depending on size, specs, and features. Used Bobcats average between $5,000 and $30,000. Rentals range from $450 per week to $1,300. Leasing a Bobcat skid steer for 36 months costs between $900 and $950 per week on average. Bobcat skid steer loader pricing varies according to engine type, rated operating capacity (ROC), and features. New skid steers start at around $20,000 with larger models topping $60,000. The Bobcat S70 comes with a 23.5 HP, Tier IV diesel engine and an ROC of 700 pounds, with an average cost between $20,000 and $25,000. A Bobcat S630 T4 with a 74 HP, Tier 4 turbo diesel engine and ROC of 2,180 pounds costs between $30,000 and $35,000 on average. The Bobcat S770 comes with a 92 HP, Tier 4 turbo diesel engine and ROC of 3,325 pounds costs between $55,000 and $60,000 on average. Used Bobcat skid steer pricing varies by model and specs, but also according to the unit's operating hours. Most skid steers have a lifespan of at least 5,000 hours. The fewer hours the unit has, the more you'll pay for it. A used 2011 Bobcat S185 with an 1,850 pound operating capacity and 300 hours averages between $21,000 and $24,000. The 2007 Bobcat S330 with a 3,300 pound capacity and 1,500 hours sells for $30,000 to $32,000 on average. The 1995 Bobcat 753G may be out of production, but a unit with 6,200 hours and 1,300 pound capacity still sells for around $7,500. Skid steer rental rates vary widely depending on your location and the model you choose. Rate options are typically hourly, daily, weekly, and monthly. What Size Bobcat Skid Steer Do I Need? Total size: Including height and width, the skid steer needs to fit in the physical space for both work and storage, with plenty of room left over to maneuver. Lift capacity: Commonly referred to as the ROC, this refers to how much weight you need the skid steer to lift. If your requirements are 2,000 pounds, do not buy a loader with a maximum lift capacity of 2,000 pounds, buy the next size up. Popular skid steer lift capacity is 1,700 to 2,200 pounds. For anything over 3,000 pounds, you probably want a front end loader. Lift/dump height: Often referred to as the height to hinge pin measurement, this describes the distance between the loader arm's pivot point and the ground. Typically, this distance equals 8' to 10'. Familiarize yourself with the controls before starting the skid steer. One good resource is Bobcat's website. Just go to the Skid Steer Loader page to find your unit. Once you feel familiar with the controls, start the machine. Push the sticks forward to move forward. Note that the loader moves faster the further forward you push the controls. If you push only one of the sticks, the unit makes a sharp turn. Use the foot petals to operate the bucket. The double-tilt action of each pedal includes the toe and heel. The left toe raises the bucket while the left heel lowers it. Press with your right heel to scoop and the right toe to dump. When it's time to carry a load, keep the bucket in its lowered position to ensure weight remains stable. It's easy to tip a Bobcat skid steer when operating a heavy load, so only lift it as high as is necessary. Maintain a medium low position when traveling, even when the bucket is empty. This improves stability. Use the highest RPM while operating the skid steer to ensure full power to the hydraulics. Always back your Bobcat onto the trailer to ensure the machine doesn't tip backwards during transit. 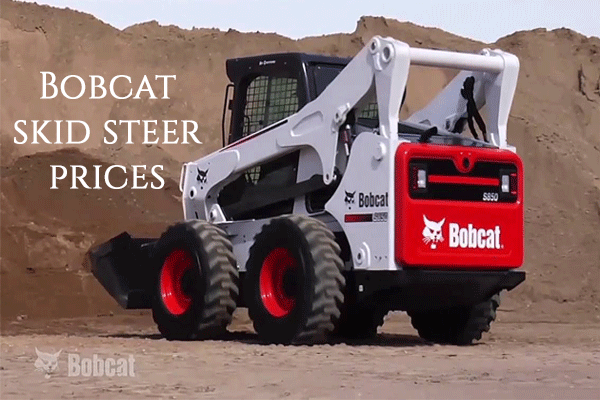 Here is a video that explains how to operate a Bobcat Skid Steer. Do You Need a License to Operate A Bobcat? The short answer is no, you do not need a license to operate a Bobcat. If you did, homeowners would not be permitted to rent them. However, OSHA requires certification for employees who operate a skid steer. Is it Easy to Operate a Skid Steer? It is fairly easy to operate a skid steer, particularly if you follow the steps outlined above. That means taking the time to understand the safety features and controls before even starting the unit. You should also feel comfortable in the area. Knowing the controls means knowing even those you won't need to use. Make sure you know which controls do what for each attachment. If you take your time getting to know the machine and feeling comfortable in it, you'll be amazed by how easy it is to operate a skid steer. Just start small, easier tasks and even terrain, and work your way up to bigger jobs.